Which, for anyone with even a passing interest in the RAF is going to be a hard offer to refuse. I think I managed to stammer something in reply, but mostly I was just in awe as I stared at this little gem of World War II history. 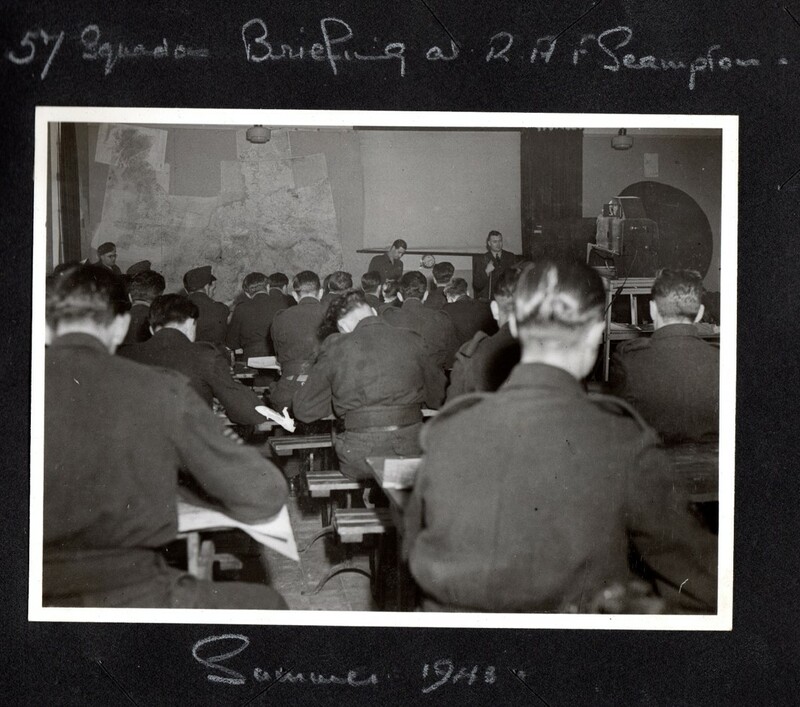 After a bit of research, I believe this is indeed Section Officer Fay Gillon, debriefing the crew of ED-918, Lancaster AJ-F immediately after the Dams mission in May 1943.
followed by a series of photos taken at a beautiful house called “Blythwood” during that war-torn, yet seemingly warm, almost idyllic, summer. 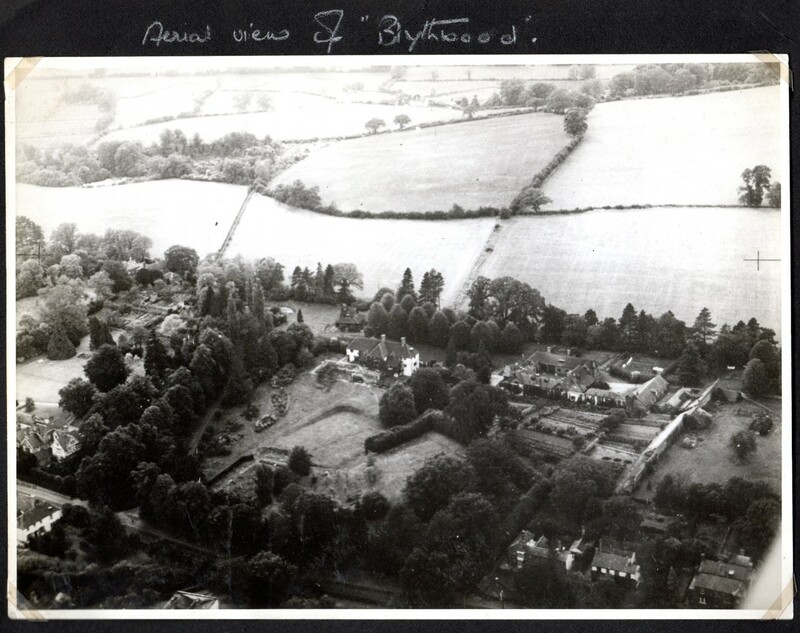 One aerial shot of the house was obviously taken by a friendly RAF reconnaissance mission by the presence of the image marks. The next pages held a series of ‘snaps’ taken by Fay’s husband in Lebanon and Syria. The images cover the first half of 1943, are small format and show Army camps, local families, camels and desert scenes near Aleppo. Later, an image of a hubble-bubble vendor in the Souk in Damascus. 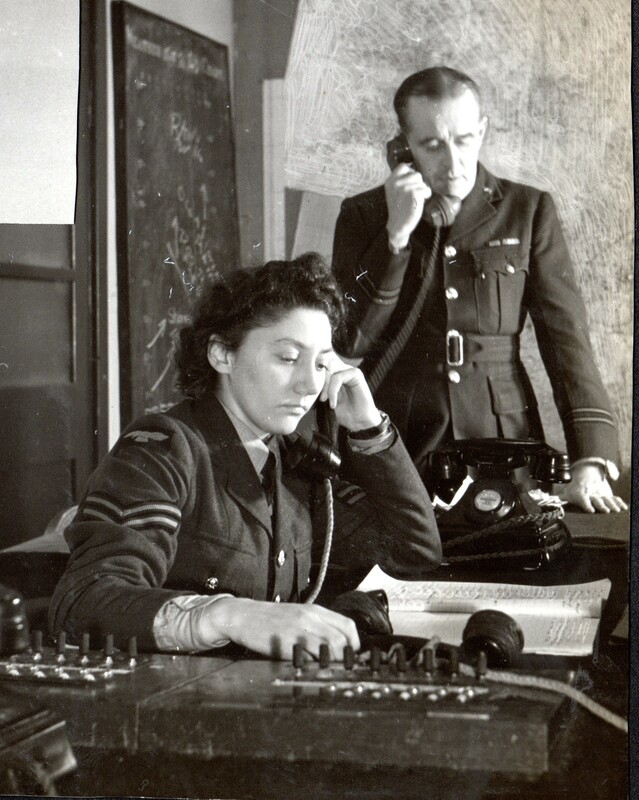 Turning the fragile pages, the spine of the book threatening to give up it’s seventy year struggle to hold the treasures within, I realised that whilst her husband had been serving in the Middle-East, Fay had been posted to RAF Scampton. Some of the images that fill the remainder of the album are official copies of publically released photos and some are obviously her own quickly taken ‘snaps’. Together they form a little window into that iconic Squadron, at that most remarkable of times. 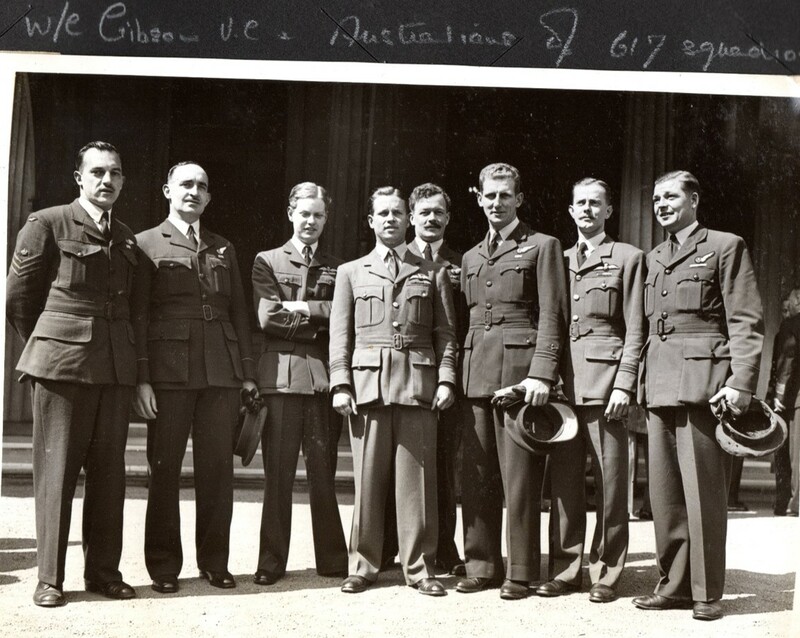 “Outside the Mess” – June 1943, one month after the Dams Raid. 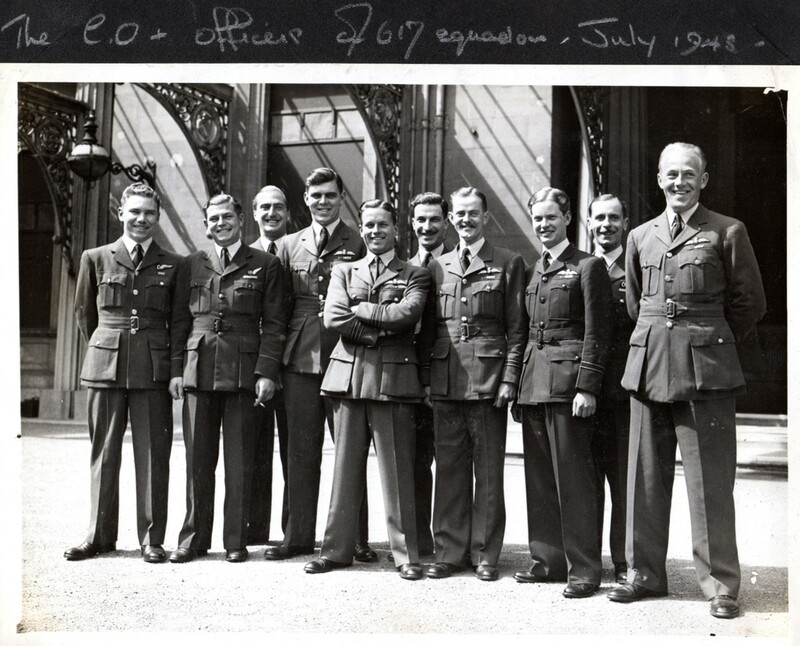 Wing Commander Guy Gibson VC in the sun glasses. 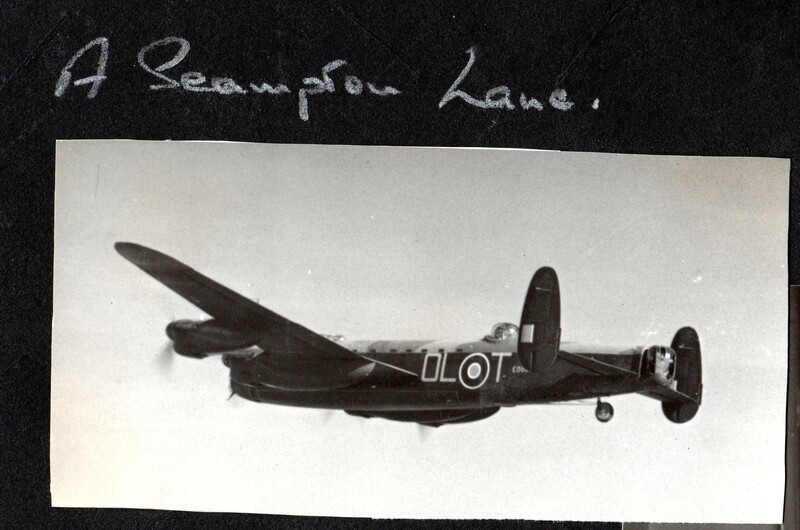 Along with 617 and 83 Squadrons, 57 were also at Scampton that summer. 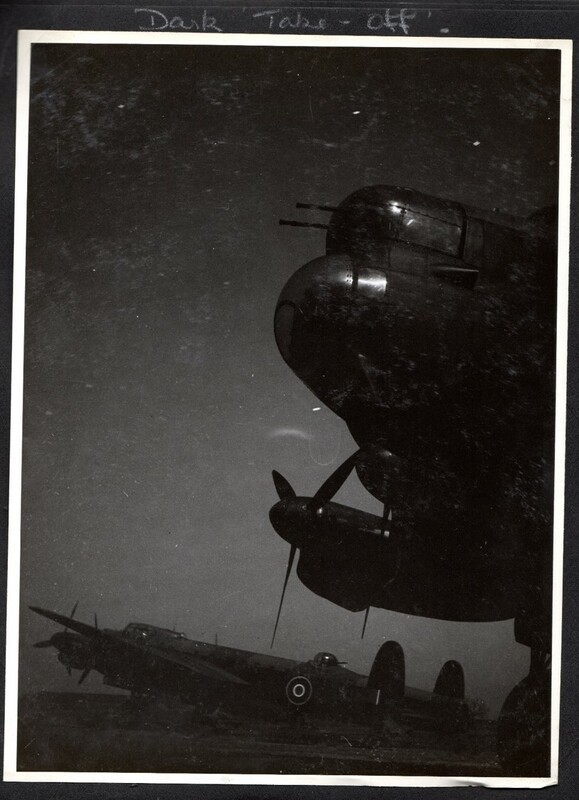 Two 57 Squadron Lancasters, April 1943. 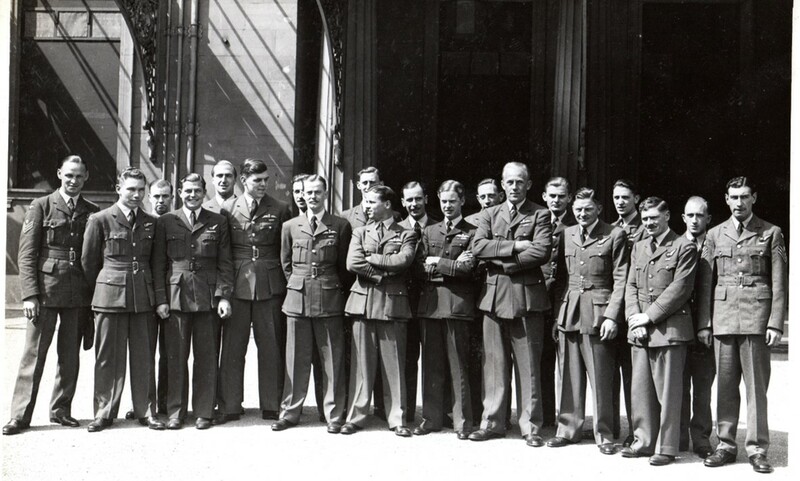 Post Dams Raid, official photography taken on the occasion of the Squadron going to Buckingham Palace. 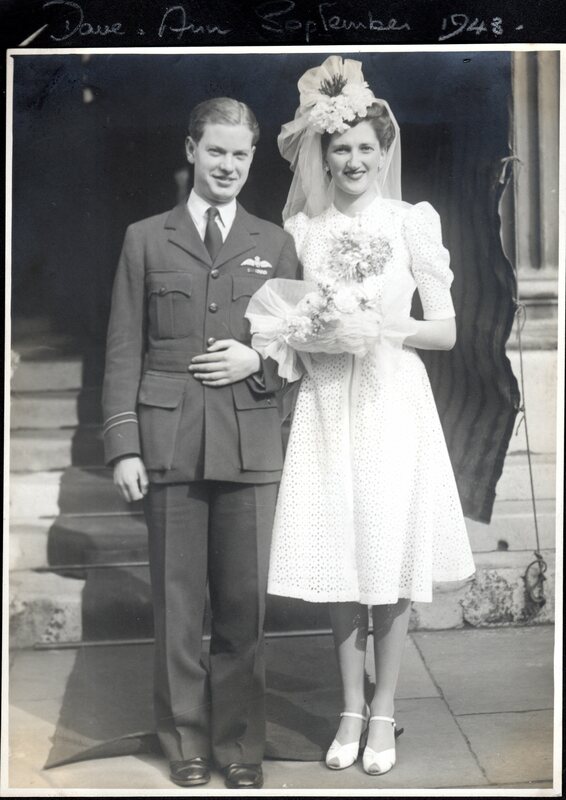 and another wedding, but the couple, this time, only known as Peter and Sheila. 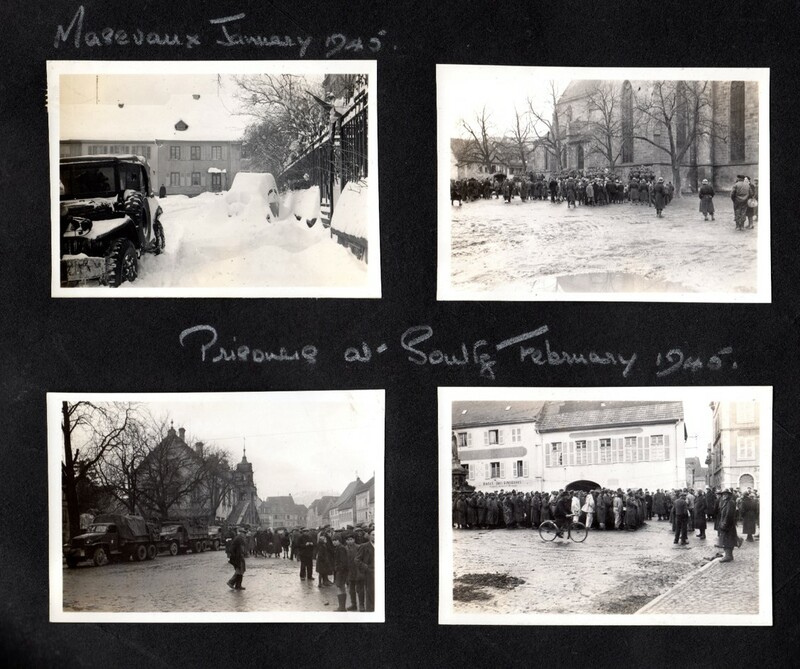 The rest of the album is filled with Fay’s husbands photos of his tours of duty throughout the Middle East, North Africa, Italy and eventually France and Germany. 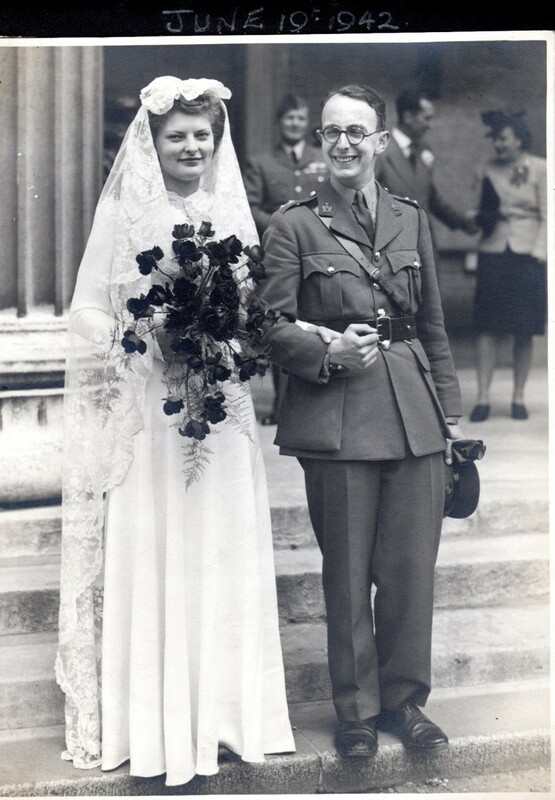 Thanks to Chris Hughes for identifying that he was Intelligence Corps (from his uniform on the wedding photograph) but not sure yet who he was attached to, although there are a lot of photos of him with the Americans at the liberation of Rome. I have a suspicion he was more than meets the eye. 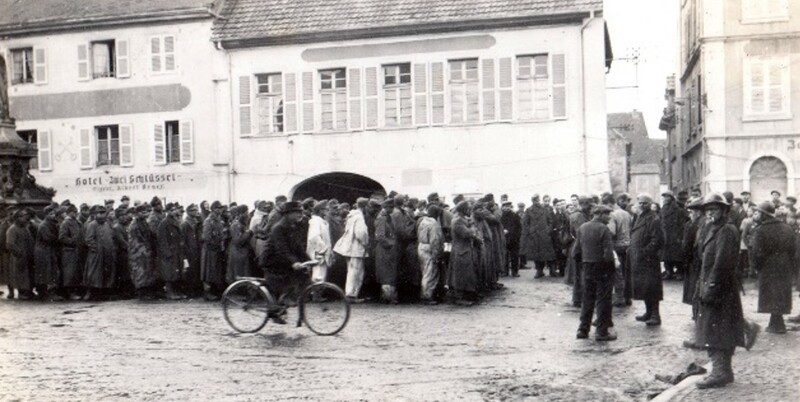 The final few images include many where large numbers of German POWs are being rounded-up. 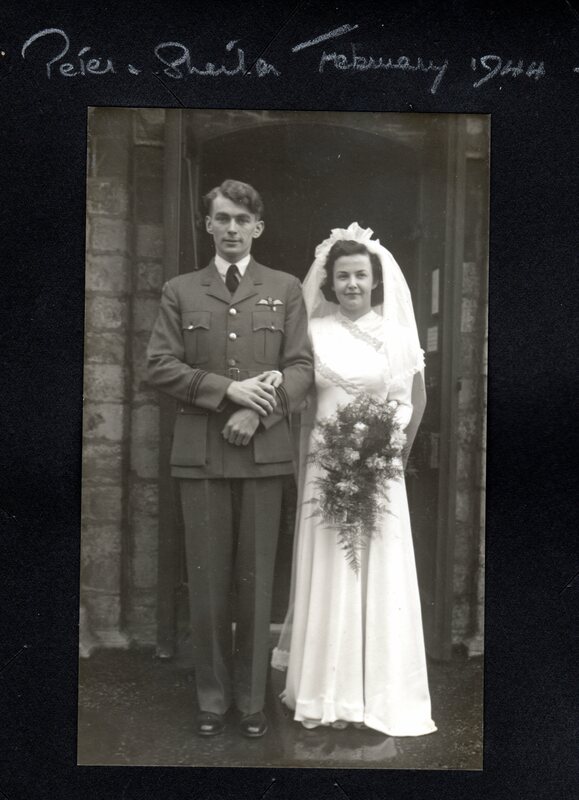 Happily, both Fay and her husband survived the war and lived to enjoy the peace their efforts helped to realise. 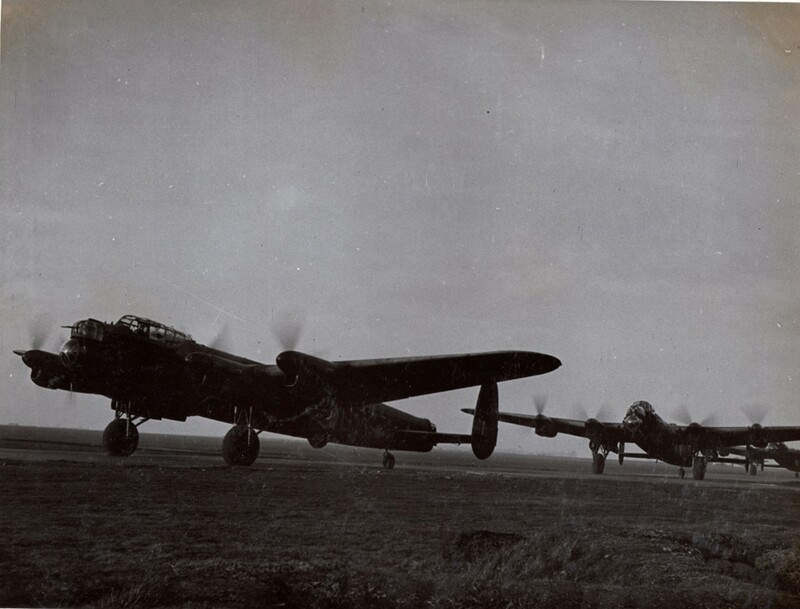 Fay is mentioned in a number of books about the Dambusters. Sadly, she passed away on the 5th of November 2009. I am indebted to her granddaughter Carissa for the permission to scan and share these images. If you have any other information on the photos, or just wish to leave a comment, feel free.